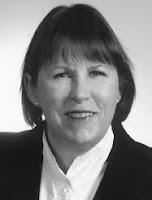 Beth Nellis has been active in the promotion of the paralegal profession for a number of years. Thanks, Beth, for letting everyone get to know you a bit better by answering the Paralegal Mentor's Thirteen questions! 1. Where do you work and what is your job title? I am a self-employed paralegal contractor who has been working for Craddock Davis & Krause, LLP as the Oklahoma representative for Vanderbilt Mortgage & Finance, Inc. concentrating in foreclosure cases. 2. What prompted you to choose a paralegal career? Since I was a young girl I had intended to pursue a legal career and fortunately was employed at Legal Aid of Western Oklahoma when the University of Oklahoma Law School opened its Paralegal Studies Program. Due to encouragement and support from the attorneys at LAWO I was able to continue working full-time while completing my courses. 3. What is your favorite part of your job? Variety—as a freelance paralegal I have enjoyed exposure to interesting cases and exceptional individuals throughout the US. 4. Do you belong to any professional associations? Yes: NALA, Oklahoma Paralegal Association and the Tulsa Area Paralegal Association. 5. How has your membership benefited you? Membership has provided contacts and networking relationships that have resulted many times in lifelong friendships and it has also enabled me to benefit from tremendous educational opportunities. 6. Do you have any professional certifications? Yes: I have completed the Advanced Certified Paralegal designation (Social Security Disability) and Certified Paralegal certification through NALA. 7. What has been the highlight of your career? Being responsible for a Social Security Disability case from initial Intake Interview through the Appeal process and finally personally reporting the very positive outcome to the client. Not only was I able to assist someone in exceedingly difficult circumstances but I was allowed to use my education, training and experience as a paralegal to the utmost as a representative within the Federal Administrative System. 8. What do you see as hot trends in the paralegal industry? I have noticed a marked increase in contracting (for obvious economic reasons) and as this has become a more accepted practice in my geographic area it has also led to an amazing dialogue between attorneys and the Courts concerning the possibility of limited “appearances” by paralegals at (unopposed) Motion Docket Hearings, etc. 9. Have you dipped your toes in the social media waters? I am just beginning to explore this exciting resource and I want to thank you, Vicki, for your excellent presentation at the recent NALA Convention which has prompted me to become more involved. I am currently trying to develop a FaceBook account using bnellis@sbcglobal.net (also my regular e-mail address). 10. If someone contemplating a paralegal career asked you for career advice, what would your answer be? Obtain as much education and practical skills especially any internship (even if it is on a strictly volunteer basis) as possible. 11. You've enjoyed a successful paralegal career. To what single event or person do you attribute that success? There have been so many remarkable people and influences in both my personal and professional life that it is impossible to select a particular event or person that is solely responsible for my success. However, completing the Legal Services Corporation’s Fundamental Advocacy and Skill Training in Washington, D.C. placed me firmly on the path that I have continued decades later—it gave me the tools and mindset to accomplish goals that originally were only dreams. 12. What is the most important step a paralegal can take to keep his or her career interesting? Always challenge yourself by continuously raising the standards and revising the goals that you have previously set for yourself. Bonus…Just for Fun Fact: I am horsecrazy: still “showing” usually in the Rusty Stirrup Division that I helped create for riders 35 and over, continuing as a Board member for the Oklahoma Hunter Jumper Association and caring for all three horses including my 32 year old retiree in the back pasture.